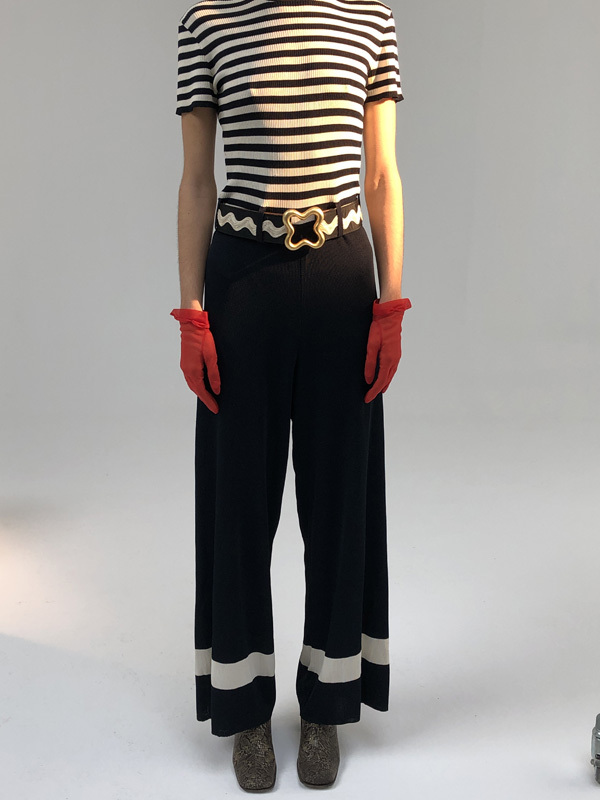 Epic Vintage jumpsuit by Moschino Couture. 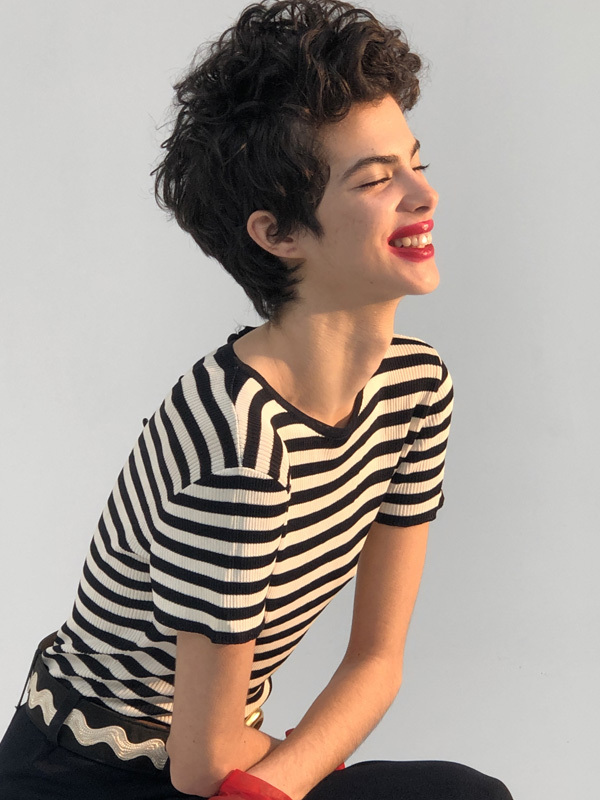 Venetian and navy inspiration all over, white that Picasso striped top and blue wide legged trousers. A great piece that I know you will love. So special, perfect for your upcoming Mediterranean holiday! 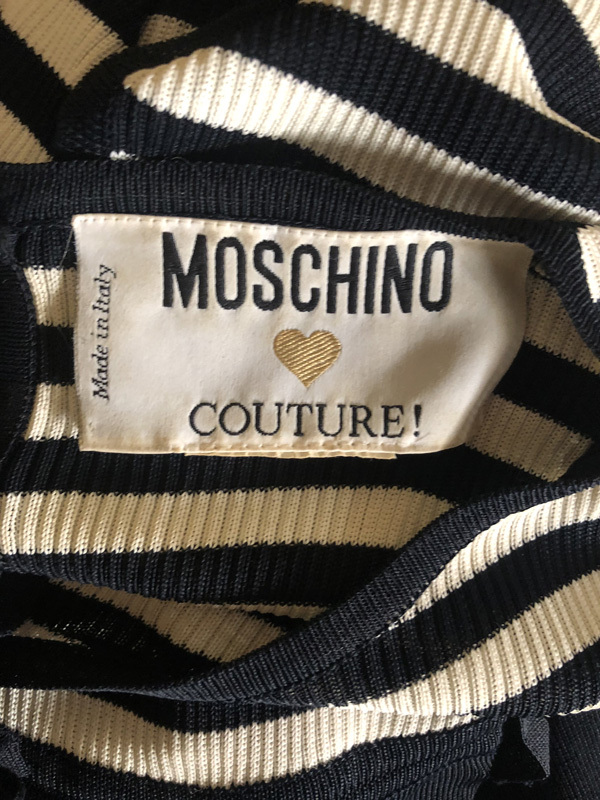 – Label reads: “Moschino Couture”. – Real size: best for size Medium (EUR 38). Fabric has stretch. – Composition tag has been cut off. – Small buttons down the back. – Bought in Spain from a private collection. January 2019. – Very very good Vintage Condition.